Let’s not beat around the bush here, Citroën has created a DS sub brand in order to rake in some cash. The simple fact is, the mark-up on premium products is healthier than their Tesco Value counterparts. This goes some way to explain the length at which DS has gone to in order to separate it from the rest of the Citroën brand. 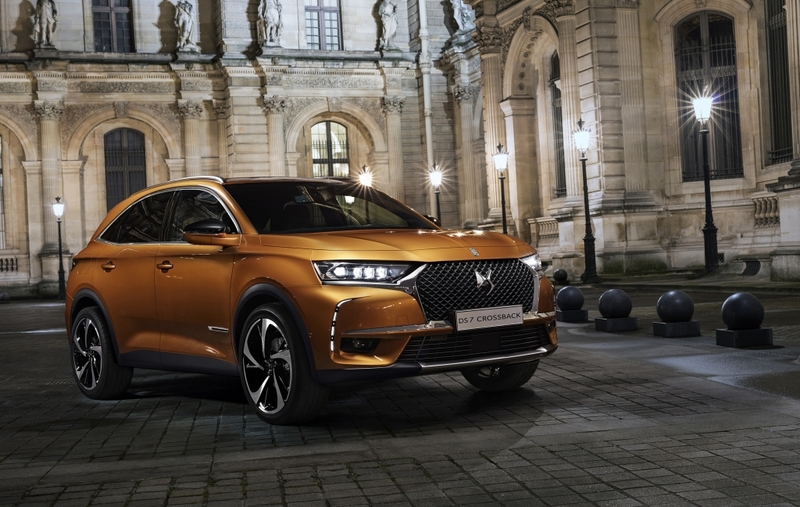 Now, DS models will largely be sold in ‘salons’ dotted around the globe (60 of these will pop up in the UK), a new advertising campaign bleats on about the “avant garde” and much of the marketing material plays up the Parisian fashion connections. 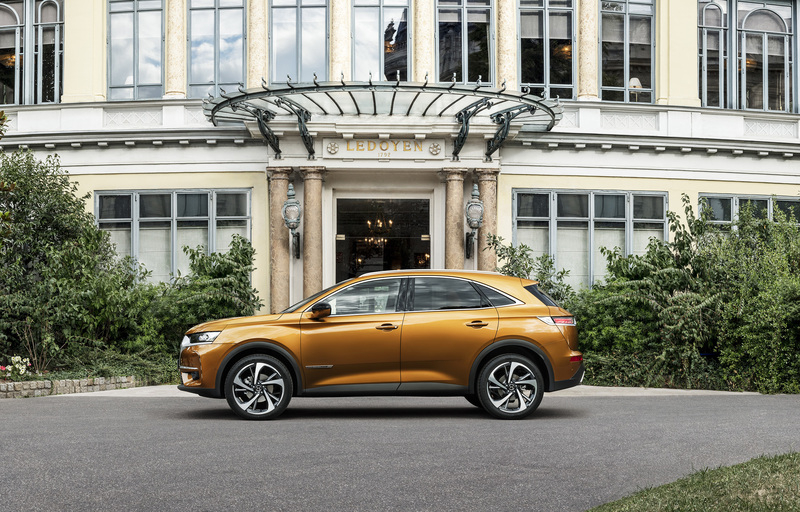 In fact, step inside the new DS 7 Crossback and it’s a bit like clambering into a boutique hotel that has taken inspiration from the worlds of designer handbags, high heels and horology. The seats are decked out in Black Basalt & Bronze Peruzzi cloth, there is the option of Art Black Basalt Nappa leather and some models even boast a B.R.M R180 timepiece that rotates out of the dashboard upon ignition. There is also plenty of neat tech on offer, including a fantastic 12.3-inch digital cluster, head-up display and touchscreen infotainment system, while plenty of attention has been lavished on interior finish, materials and design. 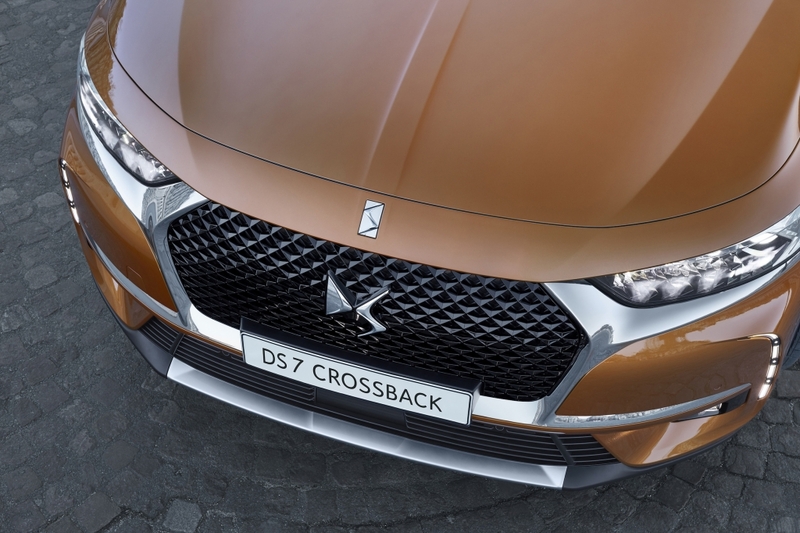 But has the DS 7 Crossback got what it takes to rival the more established premium players? Flat-Out takes a spin to find out. To Citroën, the DS brand signifies some truly striking, boundary-pushing designs, as the original DS 19 model left the car-buying public flabbergasted, dazzled and smitten when it first came to light in 1955. Irritatingly, the DS resurrection has taken a much more sensible approach, with early offerings based on existing Citroën models (DS 3, DS 4 etc.) and this initial standalone product taking the form or a rather tame SUV. There’s very little to get excited about in terms of exterior design here, as a very familiar jacked-up ride height, flared wheel arches and ‘bling’ front grille are all present and correct. The DS chaps claim that bold is great but it doesn’t sell, hence the more timid approach, but we’d argue that even Lexus has attempted to be original with greater effect in the RX and the company’s own Peugeot 3008 is easier on the eye. Regardless, it’s a perfectly lovely thing to look at, if not completely striking, and the interior is where the real effort has been employed. On top of this, even ‘entry level’ Elegance trim models receive fancy 18-inch Black Onyx alloy wheels, while we found the Performance Line vehicles – with larger 19-inch wheels and gloss black touches – the most impressive to look at, even though the vehicle is far from sporting in its nature. Finally, it’s worth talking about the rather fancy ‘Magic 3D’ LED projector headlights, which perform an attention grabbing twirl every time the vehicle is unlocked. Designers claim these trick lamps aren’t simply a gimmick, as they offer a variety of lighting modes that automatically switch depending on the scenario, but we can’t help thinking it’s all a bit overkill. There is a lot to take in upon first clambering inside the DS 7 Crossback, from the metal roller switches on the dash to the tactile metallic surfaces and diamond-shaped stitching on the seats. It is clear DS has thought long and hard about the impression this car leaves on driver and passengers and the results are impressive. The interio is bold, unique and very well executed. 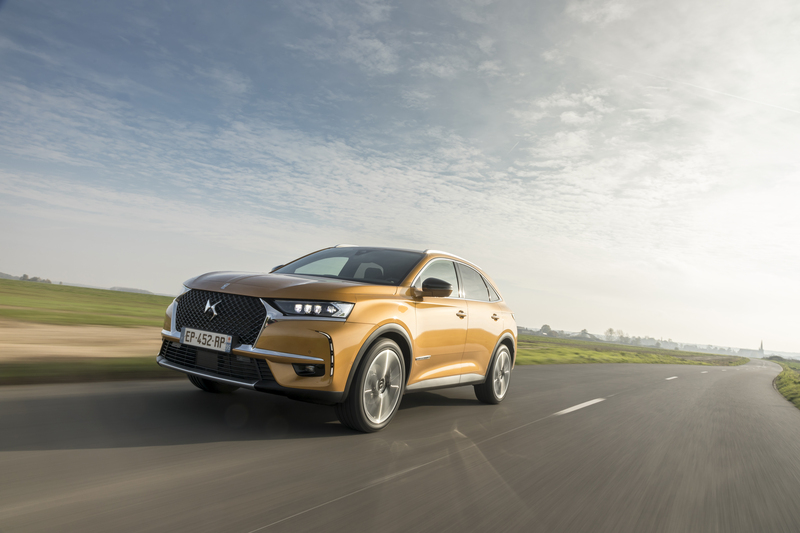 The DS 7 Crossback is billed as a luxury proposition and with prices starting at a heady £28,050 for the most basic models, customers will naturally expect a good level of kit as standard. Luckily, the DS folk haven’t failed to deliver on that front either and the base Elegance trim comes with a sharp 8-inch touchscreen display, Mirror Screen with Android Auto and Apple Car Play, DAB Radio and keyless start, while hill start assist, an electric parking brake and rear parking sensors also come as part of the package. 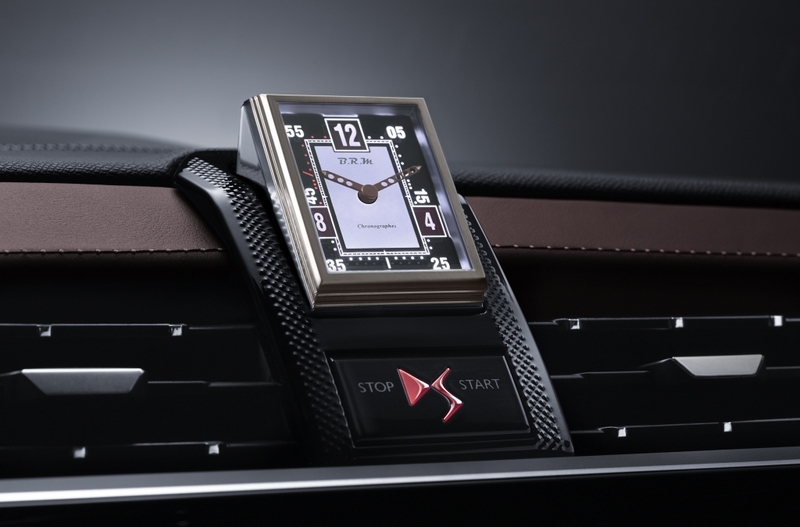 Even entry models feature an eye-catching interior, with the aforementioned Black Basalt & Bronze Peruzzi cloth seats adding a premium touch and a bronze dashboard and door panels proving that DS designers have got fingers firmly on the pulse when it comes to on-trend materials and palettes. Buyers can also specify the DS Night Vision Pack, which costs between £1,100 and £1,600 (depending on trim level) and adds a night vision camera that beams a feed of the road ahead to the virtual dashboard. Animals, people and other moving objects are picked up by the camera and highlighted in yellow, turning red and emitting a beep when they are coming dangerously close to the vehicle. The virtual dashboard is the same as the technology first previewed on the Peugeot 5008 and works perfectly, offering a sharp digital instrument cluster that can host various amounts of driving information and further plays on the Crossback’s obsession with diamond patterns. Perhaps not everyone’s definition of luxury, the inside of the DS 7 Crossback certainly feels modern and neatly plays on 21st Century ideas of premium. The SUV market has expanded and morphed over the years to the point where buyers seemingly no longer need or care for off-road abilities and now just want the styling and additional ride height. Predictably, the DS 7 Crossback isn’t offered in an all-wheel-drive option, with engineers instead focussing attention on the ride quality and on-road manners. Most models ride well and everything above the most basic Elegance trim level comes with DS Active Scan Suspension, which incorporates a small camera that constantly monitors the road ahead and adapts the suspension settings accordingly. A DS spokesperson couldn’t quite explain how the technology worked but LiDAR was bandied around, as was the fact that this high-definition camera could sense anything above 1cm variances in the road surface. The result is a very soft, very wafting ride when the electronic controls are left in ‘Comfort’ mode, even when the alloy wheels tickle the 19-inch mark. 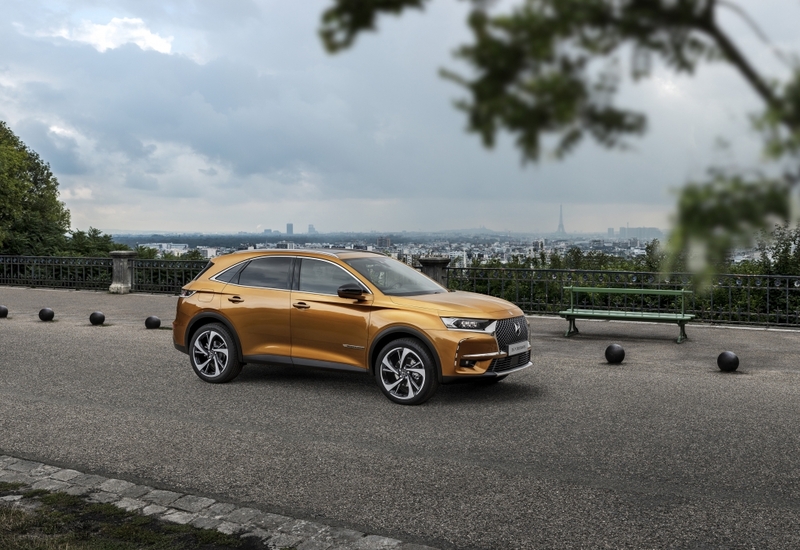 Those looking for a sportier, more aggressive drive will have to look elsewhere, as DS 7 Crossback disappoints when placed in ‘Sports’ mode. The steering becomes bizarrely heavy, a synthetic (and rather ugly) engine note is piped into the cabin and the optional automatic gearbox clings onto cogs far too long. Engine choice is kept relatively simple, as just one 225hp petrol and two diesels are offered at the moment, with the latter available in 130hp or 180hp power outputs. 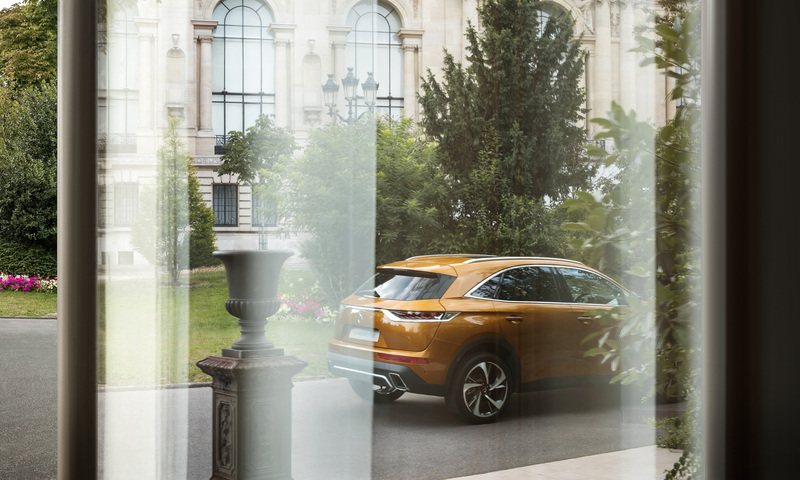 The award-winning petrol engine is quiet, refined, efficient and perfectly powerful enough to propel even mid-sized SUVs like the DS 7 Crossback along the road with little fuss or complaint. When mated to the automatic gearbox, it’s smooth and quiet, perfectly complimenting the DS 7 Crossback’s wafting suspension and generally relaxed demeanour. 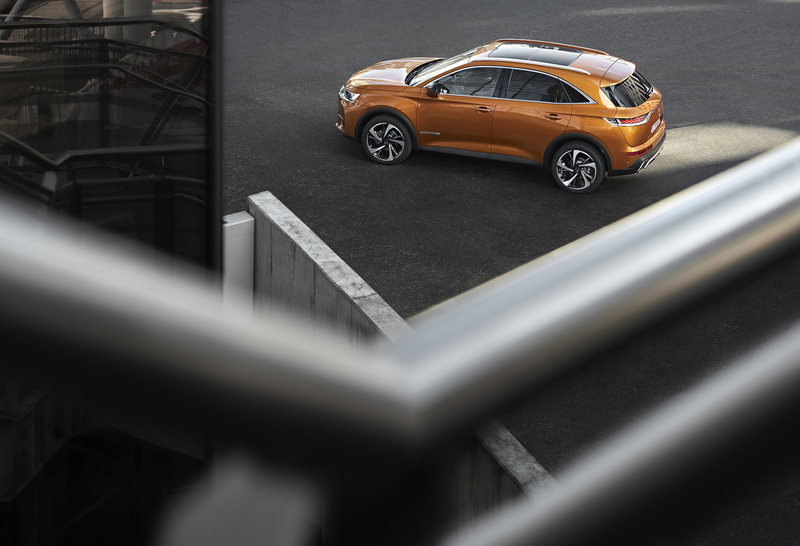 Neither of the options is particularly rapid, with the most powerful petrol engine taking a relatively lumbering 8.3 seconds to accelerate from 0-62mph but the DS 7 Crossback isn’t a performance machine in any stretch of the imagination. Stick with the automatic gearbox, leave the settings in ‘Comfort’ mode and you’ll be impressed with the overall refinement of this thing. It’s pleasant to pilot, if not completely engaging. Citroën has its work cut out if it is to convince buyers that this new DS badge is luxurious enough to command price tags that regularly top the £40k mark, especially when established rivals from BMW, Mercedes-Benz and Volvo fall into this pool of options. 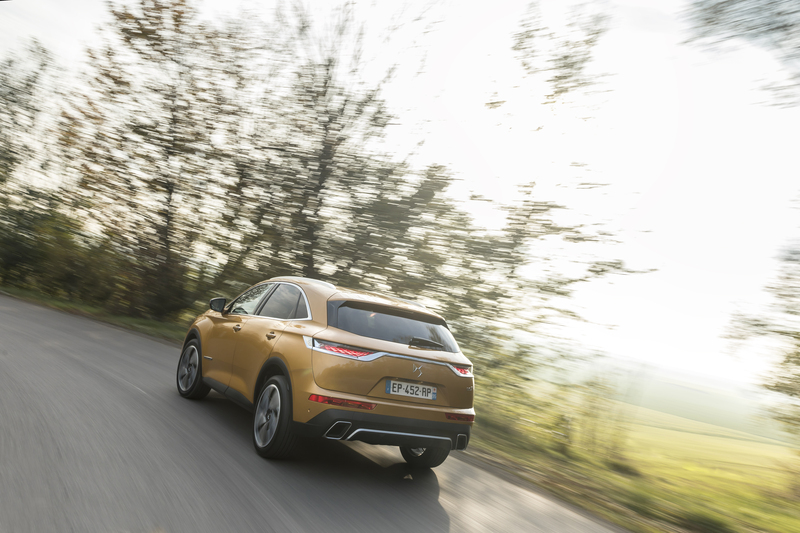 But praise must be heaped on the DS 7 Crossback for daring to be a bit different with its interiors, even if the exterior styling or driving experience is nothing to get too excited about. 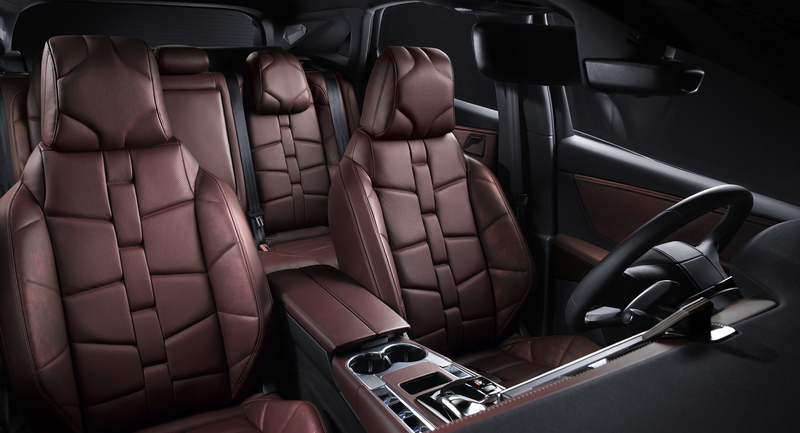 It’s a tricky vehicle to fault and we expect some customers to fall head over heels in love with the design direction. 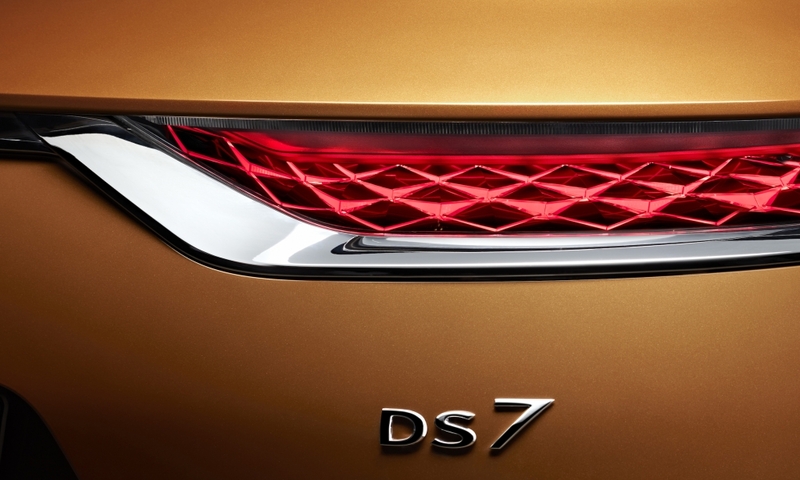 Let’s just hope it’s enough to keep DS afloat, as future models could be genuinely exciting.